Crooked has been created to evolve consumer’s perceptions of ready to drink serves. Our alcoholic sodas are available in three different variants; using natural flavours and colourings and real fruit juice. 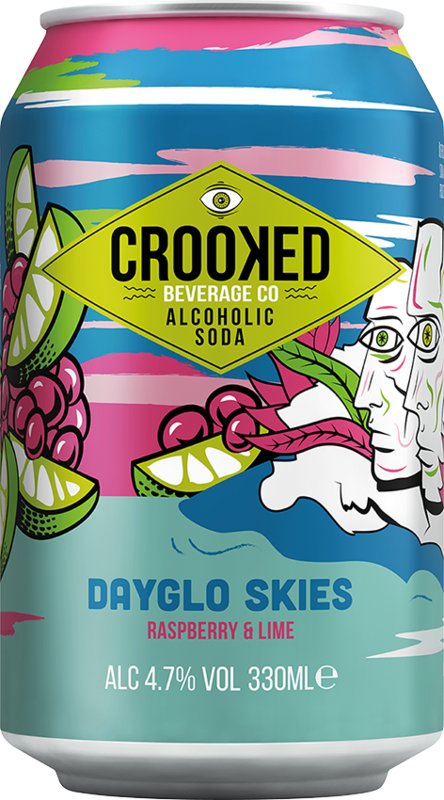 Aimed at 20-30 year olds, Crooked Beverage Co Alcoholic Soda features a malt ferment to give the interesting flavoursome alcohol taste that underpins the liquid. The all-natural fruity body of the liquid provides a sweet but not sickly, alternative to cater for the growing demand from millennials for drinks that aren’t hugely sugary and synthetic. The sodas feature slightly hoppy notes to deepen the flavour and appeal to beer drinkers.